Conferences get short shrift in these hyper-connected times--why fly across the country to read a paper out loud that you could just as easily email to all the members, who could then read it on their own time? Are the ten pages of notes I took worth the price of the flight?--but I find them immensely useful. One meets the few true colleagues we have in an era of specialization and those meetings often turn into real research: I ended up in Germany for a year because of a conversation I had while balancing plastic cup of champagne on my hors d'oeuvres plate at NASSR Vancouver. What's more, one gets a sense of the field--its upcoming directions, its major players, a ranking of the relative esteem in which specialists hold various journals and publishing houses, and a hundred other corrections, spurs, that are unavailable, or indecipherable anyway across digital media, or even a row of spines. 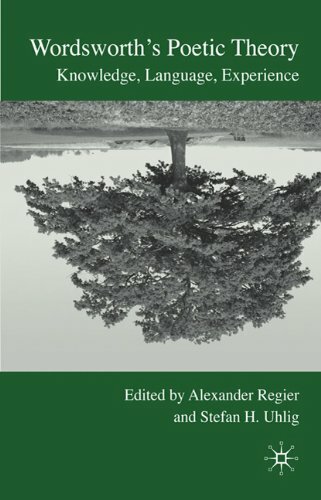 Recent collections like Wordsworth’s Poetic Theory (2010) edited by Alexander Regier and Stefan Uhlig, and Literary and Poetic Representations of Work and Labor in the Romantic Era, edited by Christopher Clason (2011), have shown renewed interest in the formal properties of poetic difficulty, even poetic disaster. This paper means to introduce to that discussion a poetic economy wherein nothing is lost. Even the weakest lines and most faltering spans of attention contribute, in this economy, to the launch of a larger conceptual framework unachievable without the original defeat, which suggests a new and recuperative way of reading weakness and displacement by contextualizing their discussion under the heading of performative aesthetic loss. In Shelley Among the Ruins of Language, I argue, (adopting Levinson’s terms in The Romantic Fragment Poem) that an “authorized fragment” (one wherein the poet has an opportunity to finish the work, but doesn’t, as opposed to an “accidental fragment” wherein he drowns, loses the mss., etc) constitutes a thing a la Bill Brown and Jean Baudrilliard’s “thing theory,” and that it thereby deserves unique consideration. When poets promise something, and fail to deliver, often--if these are to become active failures or redeemed catastrophes, they are suggesting something about the greatness of their original conception. With their argument, I mean to highlight not only the difference between “authorized” and “accidental” fragments in Romantic poetry, which distinction Levinson maintains too, but to differentiate between fragments that should be read as remnants-- pieces meant to be read as parts oferstwhile wholes, and those that should be read as ciphers, pieces of truncated production meant to imply a never-present but imagined wholeness. The whole thing was handled beautifully by Mark Lussier and Ron Broglio, and I felt especially lucky to hear presentations by Marilyn Gaull and Angela Esterhammer; most exciting though, was a chance to see my friend and former colleague Jeffrey C. Johnson, and Frederick Burwick, who I seem to run into around every corner. Great thanks to ICR for arranging this banquet, to ASU for hosting us, and to my own Department of English at the University of Washington for making my trip possible.